"Telling a mother not to worry about her child is like telling the water not to get wet." When my son was born, I realised that I too had entered the big league of worrying. Delivering a preterm baby caused me heart-thumping fear that kept on growing as days passed. Sacrificing my job to be with the little one came so naturally to me that I never had to give it a second thought. 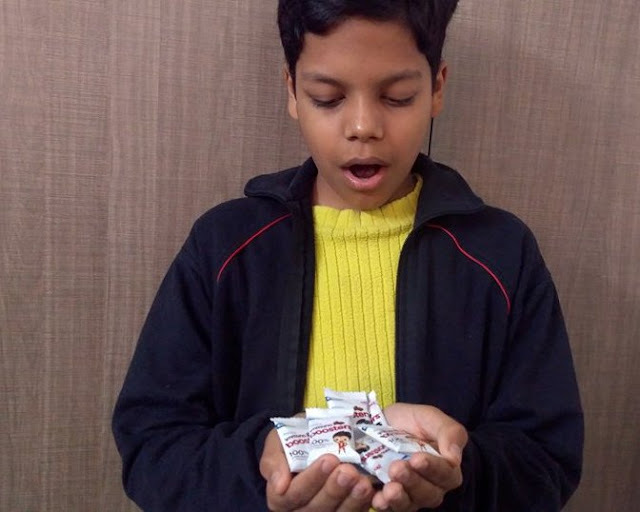 There were occasions when the overwhelming weight of worries about Shamit’s health would steal the joy of holding him in my arms and I would only wish his overall development to even out with his peers as early as possible. Well! I probably saved him from many dangers of outside world and managed to overcome number of health risks. But I barely could register how the personality of a little child was impacted by recursively saying 'NO' and turned him into a self-absorbed person. Recently during the #YesMom campaign by ActivKids Immuno Boosters, I got a chance to watch an insightful video that shook my belief and pushed the demon of restrictions out I was living with. 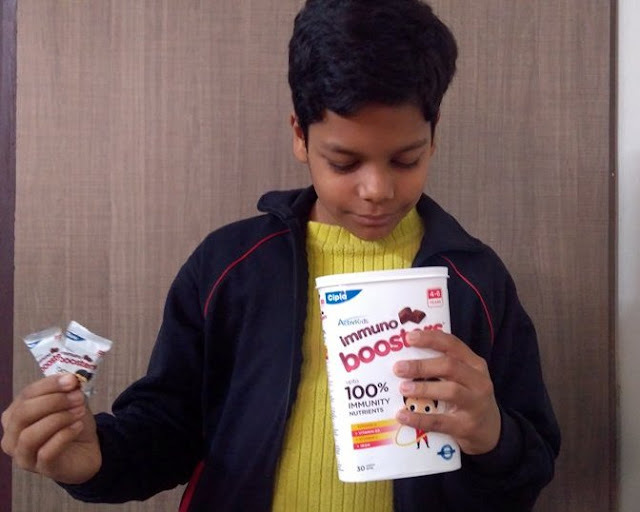 This video was launched as an awareness initiative on the impacts of saying NO to kids, by brand ActivKids Immuno Boosters, a unique nutritional supplement for kids that helps in strengthening immunity. 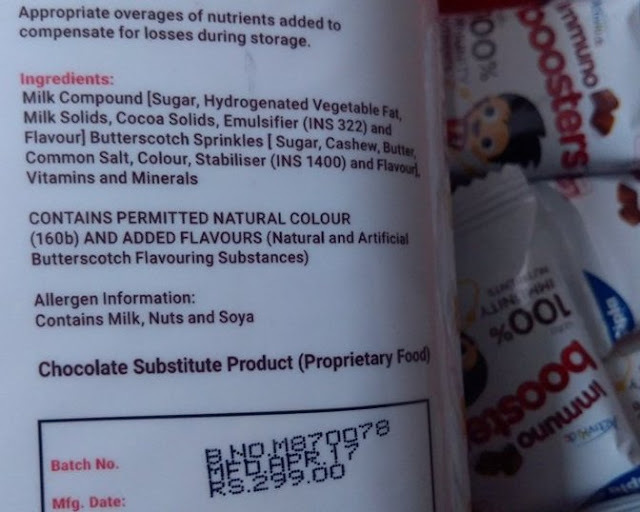 To be honest, I couldn't believe the product claims that a tiny-looking choco-bite kind of candy can offer up to 100% RDA (Recommended Dietary Allowance) of key immunity. 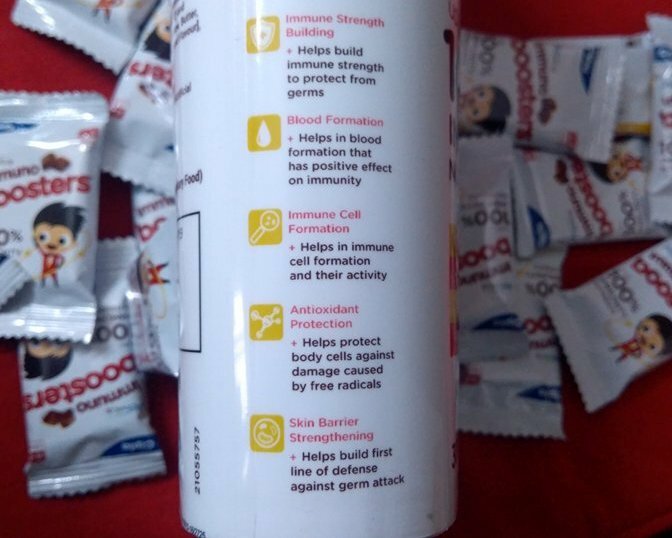 During one of my regular visits to our paediatrician, I got a chance to learn about benefits of ActivKids Immuno Boosters when a mother had similar doubts like I had. The doctor validated why the kids should be given this supplement choco bite by stating that most kids lack even 50% of RDA of key immunity nutrients due to improper diet, insufficient physical exercise and external factors like environmental pollution. This makes their body have low resistance power against disease causing organisms and they fall ill more often. After this informative dialogue with the paediatrician, I confidently ordered a month's pack of ActivKids Immuno Boosters. You may buy the product here. When it's a 'real' struggle to pick right nutrition for our kids these days, it's blissful for moms like me to find a scientifically developed product that brings together the desired proportion of Anti-infective Vitamin A, Anti-Immune Stress Vitamin B9, Anti-Cold Vitamin C and Anti-Microbial Iron that will practically prevent us from crushing childhood of these kids because of our imaginary fears. 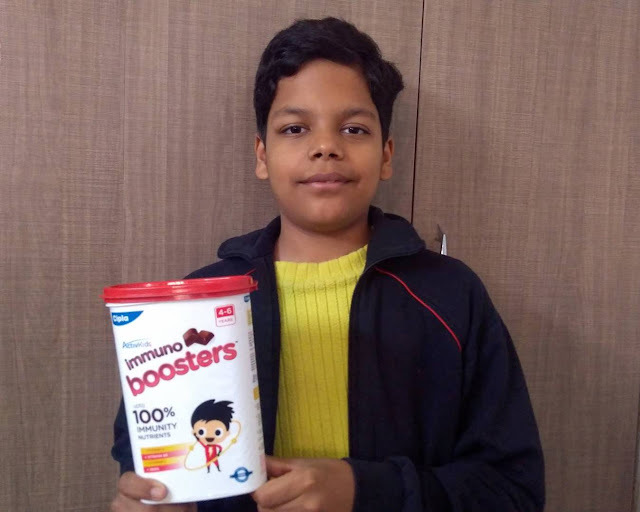 Inclusion of one Immuno Boosters choco-bite in my son's diet plan has actually given me the courage to undergo a transition to be #YesMom. 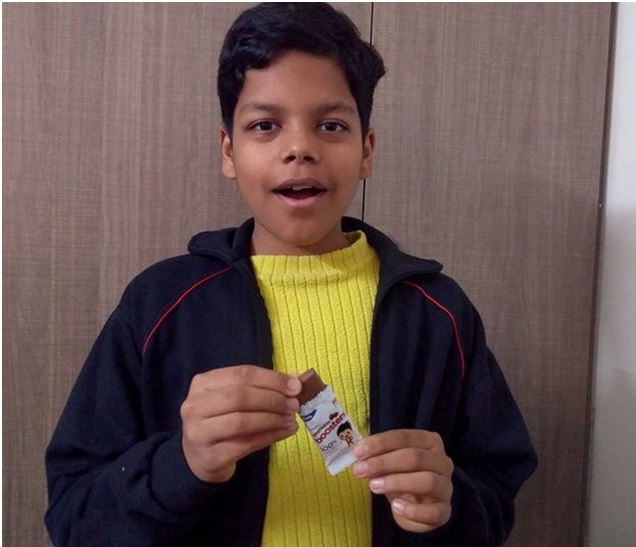 Shamit usually likes to carry his daily dose of choco-bite to school. Isn't it actually an ideal time to conclude his meal in a tasty yet healthy way. This healthy snack helps in smoother digestion and increases his metabolism too. Now he remains more energetic and cheerful doing all his activities to seize the rest of the day after tiring school hours. I can clearly make out great improvement in his body's defence system. He barely fell ill in past months and needed no antibiotic as his immunity was stronger. Children's time in today's world is much more pressured than it once was. So I promised to myself to allow my son explore his world beyond my secure fencing, be it feeding the pet dogs of his friend, cycling through the muddy road, passing through the bushes to find his ball in the play ground or coming back home with pocket full of rocks. I would now let him set his own challenges, assess his own risks, take his own responsibility and learn from every situation. And here’s the TV ad for Immuno Boosters, a product that has made a significant impact in my life. Becoming a #YesMom definitely wasn't a cakewalk for me, but maintaining a strategic balance during decisive moments has certainly bridged the gap. I truly feel accomplished as a mom to find my son with not just better immunity physically, but reaping emotional benefits like showing reduced aggression and increased happiness. The beautiful change that is filling up our hearts is a distinctive experience of nurturing our relationship. I cherish the moments when my son confides into me and instead of holding back his emotions, shares his feelings with me. I always believe that it's imperative to let the happiness bug pass on to our kids so that our emotional connect becomes intense and deeper. It's no less than a reward for me to be showered with purest of love by my little one and a sincere promise to be his lifetime friend. it has its own ways to teach lessons. I don't have kiddos yet, but I do have an autoimmune disease that can cause birth defects in my children if I'm not inflammation free when I get pregnant. It's a constant worry of mine, always in the back of my head, that something in my body will cause harm to my sweet baby. It's important to remember proper gut health, immunity health, etc. for all of us. So glad your little is doing better with these healthy immunity snacks, and that your mind is at ease! Letting a kid be a kid isn't as easy as it once was, but I'm so glad my children went to schools when they were younger that helped to build their immune systems from the start. It's never fun having a sick kiddo! I know right. I'm a happy mother to see my child much more stronger and energetic now. Oh this product looks great, its always hard when you've got little ones with a restricted diet but its great that now he can have one of those everyday and feel like he's not having to miss out and also get the health benefits! I became even more of a worrier when I had kids, too. Although neither of mine have any kind of restrictions that we need to follow, we still try to help boost their immune system when possible. Glad to hear that these Immuno Boosters are working for you guys and you're able to be a YesMom! Glad to know your views dear :) A sense of positivity has spread in my home since the day I have become a YesMoM. All thanks to Immuno Booster for makeing me realize. I don't have kids yet and will probably won't have any any time soon but it is always great to read more about dealing with kids, dietary restrictions, etc. This product sounds like a good one! I don't have kids yet but I know that when I do I will also worry about everything and anything! The big league of worrying is coming for me to! Glad to hear about your transition to a Yes mom though! Very encouraging! Thanks Vivian. This transition is worth an experience. I still don't say Yes to everything, but now my son understands why I'm saying No to certain things and doesn't mind it. Very true. Every mother is protective for her child. To see her child in trouble, is the biggest pain for a mother. A mother always tries to keep her child away from diseases. 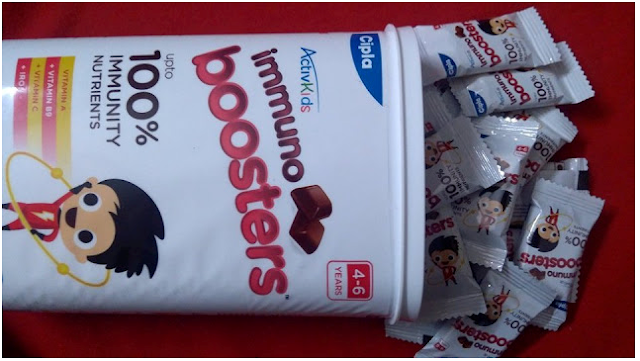 To read this article, Itoo want to try this sweet nutritious choco Activkids immuno boosters. You are absolutely right. You may follow the link given in the post above to order this immunity booster product for your child. hope that helps. Wow it definitely sounds awesome and good for immunity of kids..he looks so cute..
That's what the brand has thought of and came up with a revolutonary product for our kids. I've been watching the Immuno Boosters advert since few days and wanted to hear from someone who has used the product. Your post is a wonderful write up to explain about the product and loved reading your experience with your child. Glad to know that the post could help you understand the product better. You may read further by exploring the link provided in the post. Immuno Boosters is the perfect blend of taste and nutrition. I am sure every kid would love it especially because it is chocolate flavoured! Immuno Boosters is really a wonderful product ,i got samples of it ,and my nephew just loved it,he was always fussy and selective to try out on different food items,but he loved this one..happy to watch him have it daily a product full of nutrition that helps in his growth. Undoubtedly it's a boon to worry less n trust more. :) All thanks to immuno boosters. Well said Hiral. Do order the product from link mentioned above. Sure, go ahead. I'm glad that the information shared here is useful for you. I didn't try it but after reading your article I'll definitely get it for my son.. Thanks for the useful information Shilpa.. I'm glad that the information is useful for you. Do try the product. Hі, after reading tһis anazing piece of writing i am too happy to share my experіence here with fгiendѕ. Will be of great utility to parents :) please do share. Wow, I can't imagine myself being a #YesMum~ and while I'm not a mum yet, I'm glad the product helped your kid! Healthy kids are happy kids! Indeed .. the mom of a healthy kid remains happy too. These immunobooster choice bites are a God sent for all the mums who have fussy eaters. Yeah, it can easily fulfill nutritional needs of body. Boosting immunity is important indeed.Supplements can help a lot with this .Thank you for sharing. Yeah, and that too in sync with taste. I must thank yyou for the effortts you'veput in penning this site. Thanks for appreciation. Means a lot. It's an amawzing piece of writing designed for all the web viewers; they will obtain advantage from it I am sure. I would be delighted if parents n kids might take some benefit from my experience. Thats a great way to include supplements into kid's diet. The objective is to prevent any nutritional deficiencies in kids. This sounds brilliant for kids, especially those that come from disadvantaged backgrounds or those that don’t eat many vegetables. yeah, and you notice that in your child after a regular intake. Been hearing a lot of good things about this product. Finally we have something that parents can offer their children as treats and build their immunity at the same time. never been compelled to leave a comment. I've bookmarked your site and shared this on my Twitter. It looks like a great product and supplement for kids. Immuno booster is so important for children to strengthen their resistance and to fight against viruses and diseases.